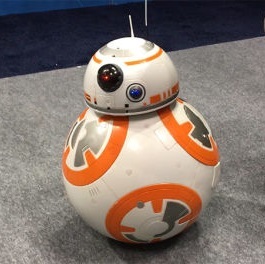 The BB-8 is one of many new toys announced at this week’s New York Toy Fair. Everything from a new LCD Etch-a-Sketch, to a holographic interactive Barbie, there’s a lot of new stuff coming. Check out CNET’s list of the best and Popular Mechanics has one too. SpaceX had a good week. They launched their Dragon spacecraft to the International Space Station, but just as importantly, they managed to land something too. To launch Dragon, SpaceX used its two stage Falcon 9 rocket. The first stage returned to earth safely 8 minutes after takeoff (the second stage carried Dragon to orbit). Given landing failures in the past, this was a big deal for SpaceX and for NASA. But they did announce that they found seven new, Earth-sized planets just a hop and a skip away (well, 40 light years, but apparently that’s close). Even better? These planets are in what is called the “Goldilocks zone” that is juuussst riiiggght for habitable life (and water!). A new color-changing hair dye will certainly get you close. FIRE, by The Unseen, responds to temperature fluctuations to change from black to bright red and everything in between. You can’t buy it yet, but testing is underway. Wired has the story and videos (which are unlisted so I’m being respectful and not including here, but they’re cool!). I happened upon this story this week and I thought you might enjoy it too. 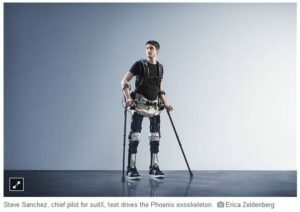 For some Friday reading, check out NBCNews’ report about the state of robotic exoskeletons (think Ripley’s loader from “Aliens” or even Iron Man’s armor). In real life, they’re not so huge or high-tech (yet!) but they’re starting to have real impacts. From helping people regain or retain mobility, to helping people do real jobs, the tech is pretty awesome. Okay, nine more. You can now post up to 10 photos or videos in one “carousel” post on Instagram. The feature is rolling out over the next few weeks to both iOS and Android, so watch for it. 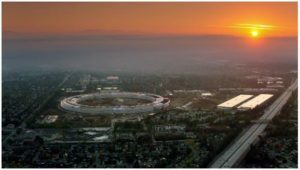 Apple’s new campus (and headquarters) in California will open to employees in April. Called Apple Park, the centerpiece is that spaceship-looking building you’ve probably heard about. In terms of tech, it’s cutting edge. It will be powered 100 percent by renewable energy with one of the largest on-site solar installations in the world. The building is also naturally ventilated (also the world’s largest building to have this) and shouldn’t require heating or air conditioning nine months of the year. Parts of Park will be open to the public.